Segunda Mano is an upcoming horror suspense movie from Star Cinema Film and an official entry in the forthcoming 37th Metro Manila Film Festival to be showed on December 25, 2011. 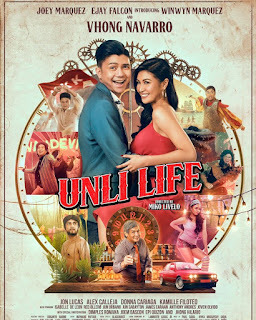 From the direction of Joyce Bernal, it is top billed by Kris Aquino and Dingdong Dantes This also marks the actor’s first time of working in Star Cinema. Segunda Mano literally means “ Second Hand” and based on recent interviews, the movie will deal about ghosts haunting the people who got their most valued possessions. Following the concept that there’s always a back story in everything. Kris and Dingdong come from rival networks, but the latter reportedly approached GMA CEO and board chairman Atty. Felipe Gozon and asked permission to make a project with Star Cinema. According with several web sources, GMA Films agreed in one condition- that Kris will do a movie for them next year. “ Ang hiningi lang nila was that I sign a contract that will state na I’ll do a movie with GMA for 2012” It will be the first time that Dingdong will compete with his girlfriend Marian Rivera in the MMFF, who plays Sen. Bong Revilla’s love interest in Panday 2, in MMFF. When reporters asked about her reaction, the Kapuso actress said, “Ay! Ok lang yun. Mas Masaya pa yun!”.